Now that Star Wars: The Last Jedi has brought an end to the Skywalker saga, Mark Hamill has time to watch all the upcoming Lucasfilm projects, including, but not limited to, Solo: A Star Wars Story and Episode IX. And let’s not forget about all the spin-offs, including films by Game Of Thrones creators David Benioff and D.B. Weiss. Yep, it looks like we can count on seeing a Star War every time we get our oil changed (assuming you’re a bit negligent in your car maintenance), which is actually a bit much for Hamill. As the actor tells CinemaBlend, he thinks Disney and Lucasfilm should “pace themselves, because you don’t want to over-saturate it. I said to Disney, ‘Really? Five months after we come out comes [Solo: A Star Wars Story]? Can’t you at least wait until Christmas?’” And we don’t want to overwhelm him, but Hamill’s overlooking the multiple Star Wars TV shows that Lucasfilm is also developing. Well, there shouldn’t be [a limit to the storytelling], as it’s a canvas that’s so infinite. With the standalone films they can all have their own identity. Rogue One can be gritty, and like a war film... I’m assuming, I don’t know, but I would assume that Solo will be more comedic-ly oriented because he’s a rogue, a scoundrel, and a gambler, and a womanizer and all those things. So I think the advantage of the standalone films is that they don’t have to follow the formula of a trilogy, so they can establish their premise, get it on, get it done and get out leaving the audience wanting more. So there’s infinite possibilities. 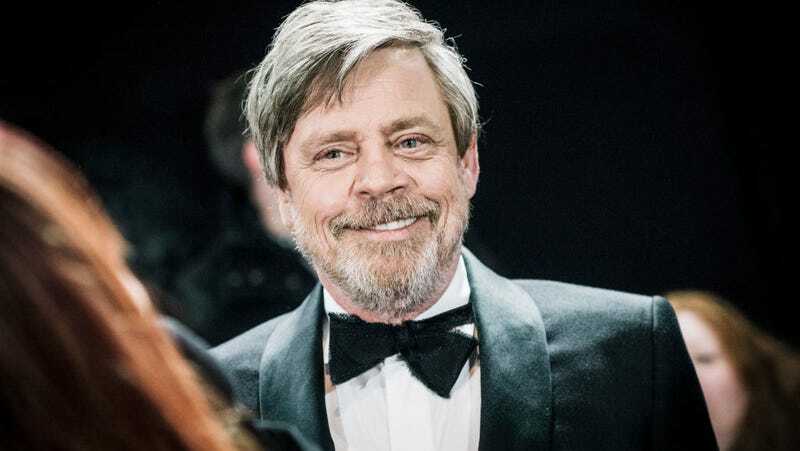 Ultimately, it seems Mark Hamill just wants a little breathing room between movie releases rather than cutting down on the number of projects. We can relate.